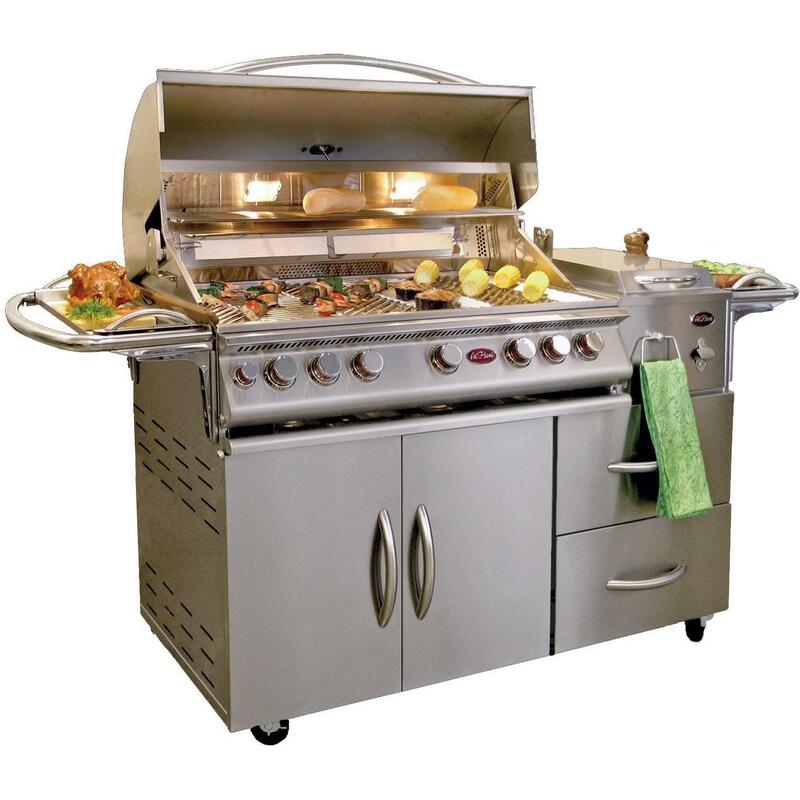 Product Description: Cal Flame 40-Inch 5 Burner Convection Propane Gas BBQ Grill With Single Side Burner And Rotisserie On Cart. 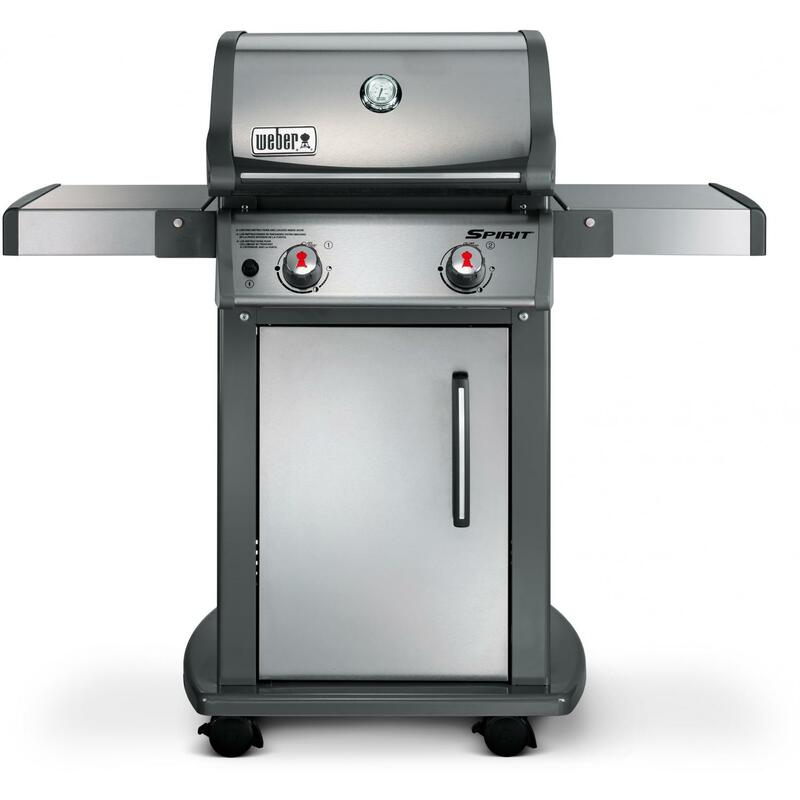 Short on space, but want a pro-style grill fit for a gourmet chef? 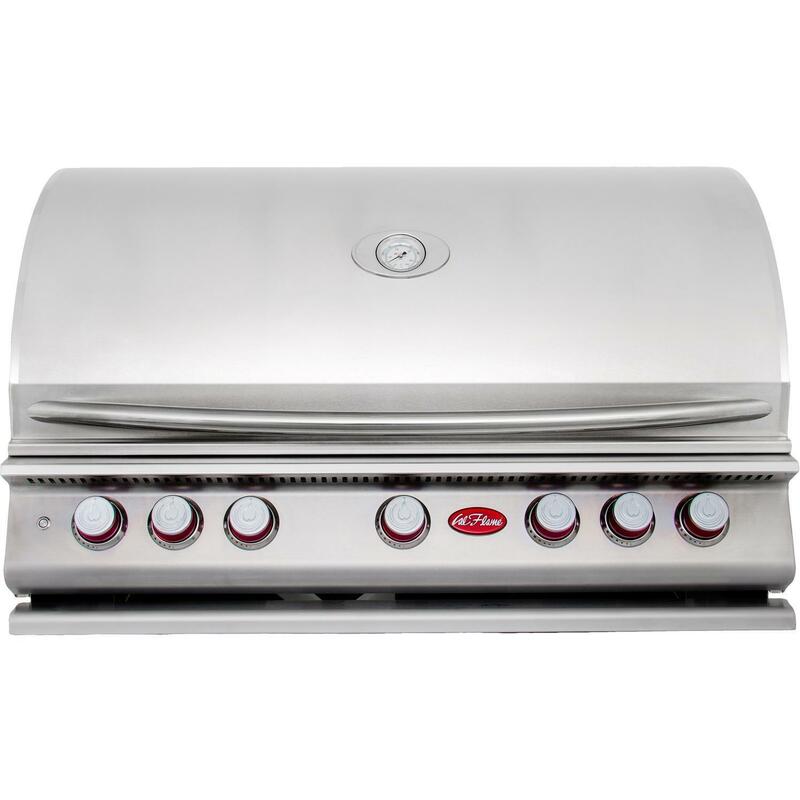 The Cal Flame 40 inch Convection Grill features five powerful cast stainless steel burners which produce 75,000 BTUs and a full-size centrifugal fan that uniformly circulates heat throughout the 1,000 total square inches of cooking area, resulting in 50 percent quicker grilling. 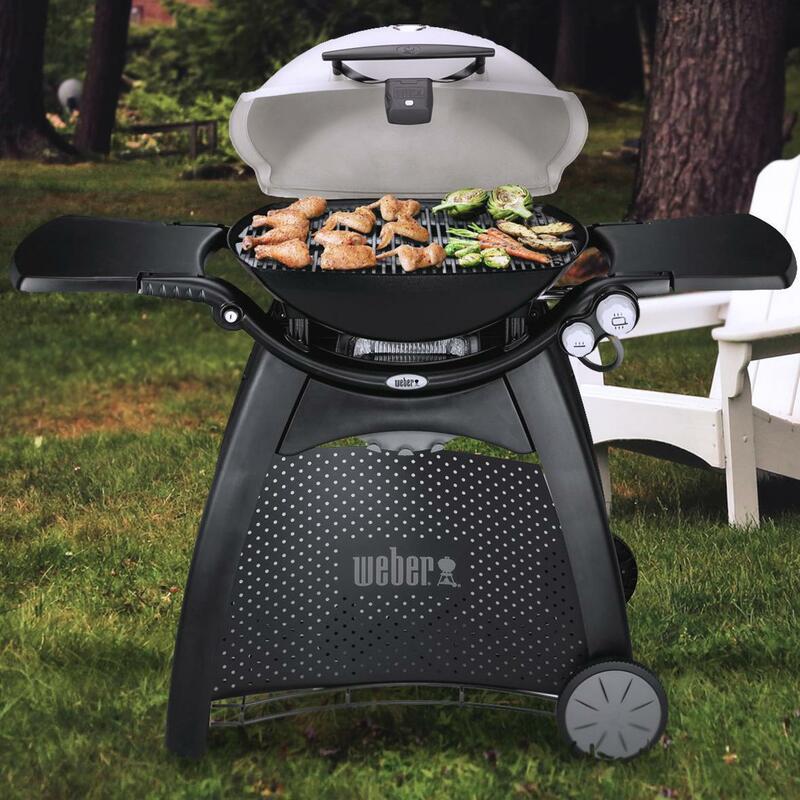 The cooking area includes a 2-position warming rack, interior lights for grilling day or night and a built-in hood thermometer to easily monitor grilling temperature at all times. 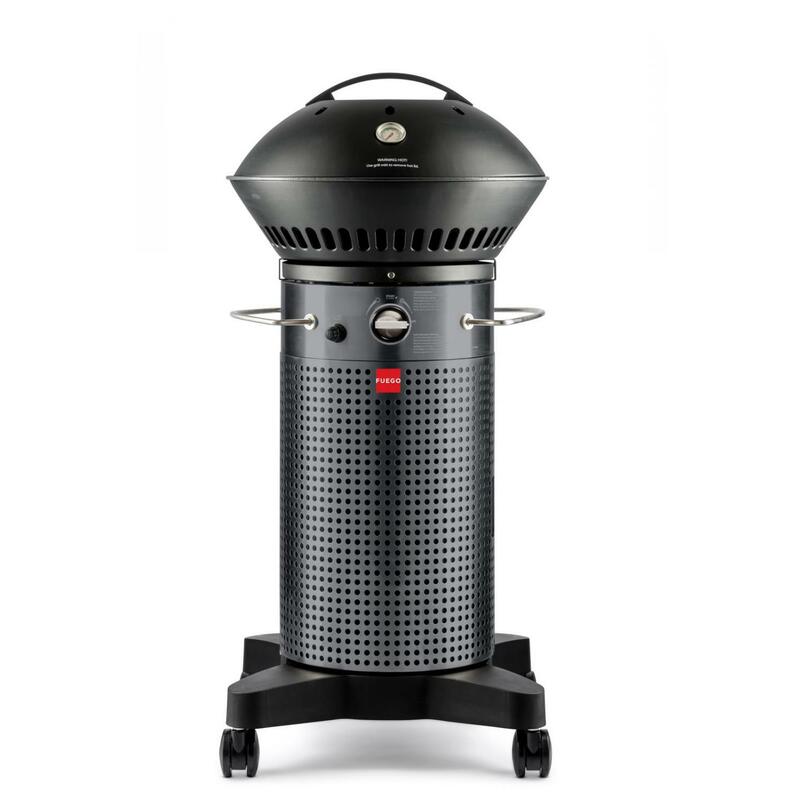 A 22,000 BTU infrared rotisserie backburner comes standard, along with a 12 volt rotisserie motor and a spit rod capable of holding up to 35 pounds of meat. 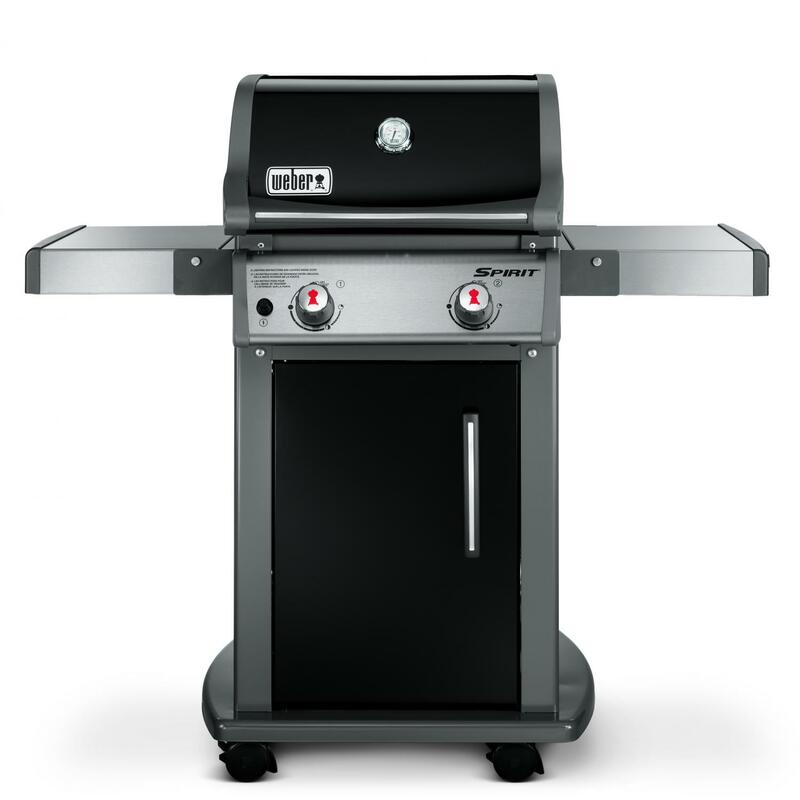 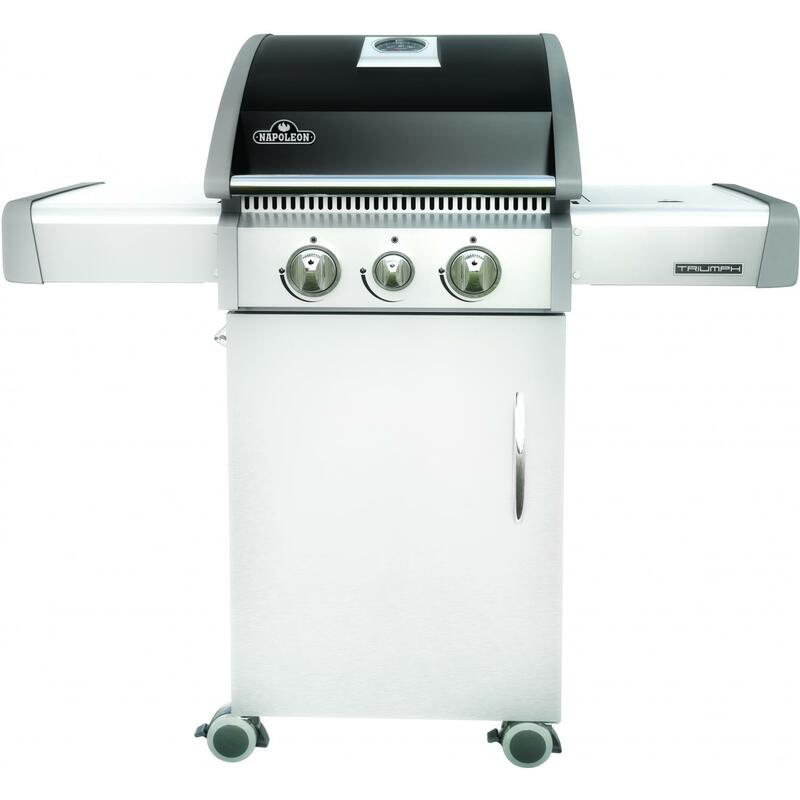 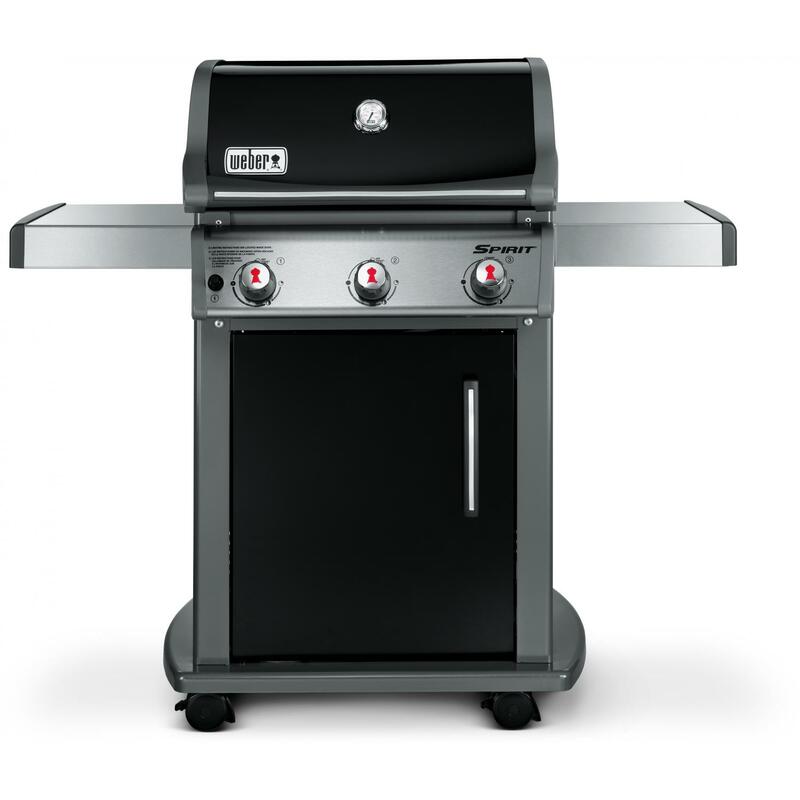 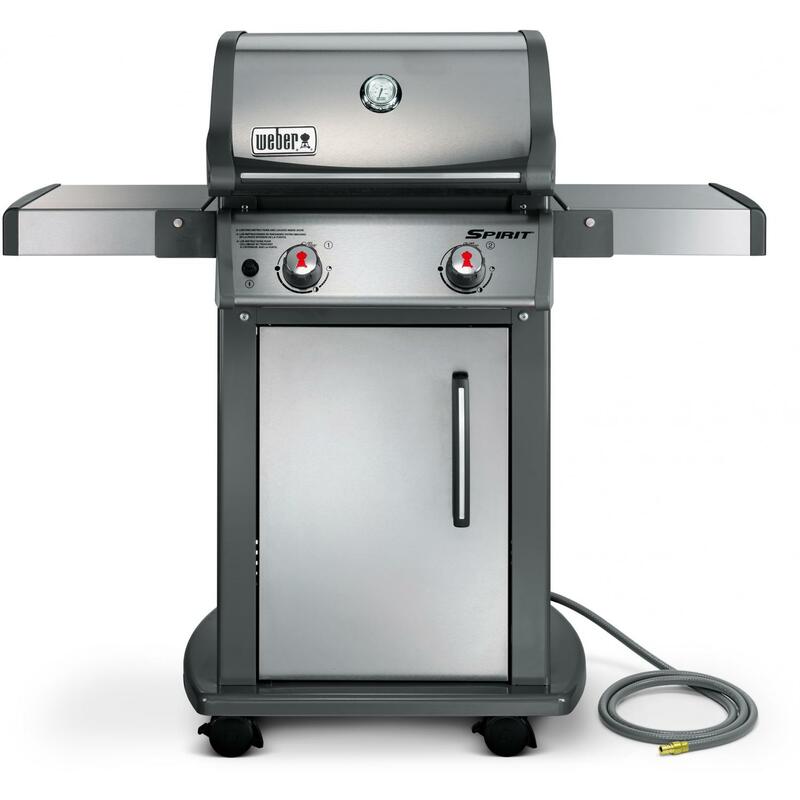 This grill also features the Cal Flame signature one-piece handle, 304 stainless stainless steel construction and a full-width drip tray that catches every byproduct for easy clean-up. 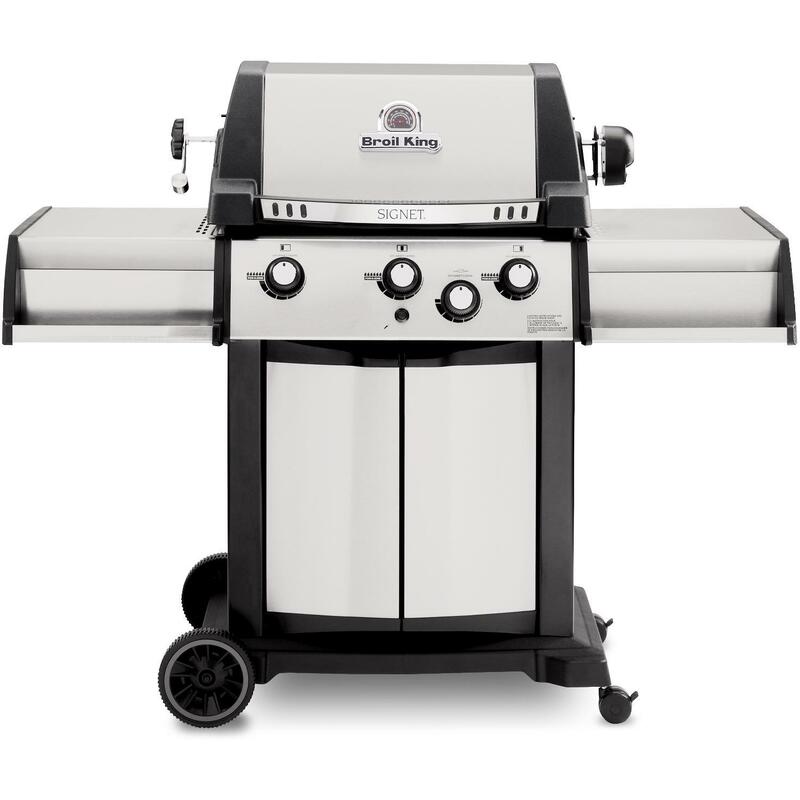 The Cal Flame 5 burner Convection Propane Gas Grill On Cart is perfectly paired with a Standard Single Side Burner which emits 15,000 BTU of its own and includes a stainless steel flip-open cover. 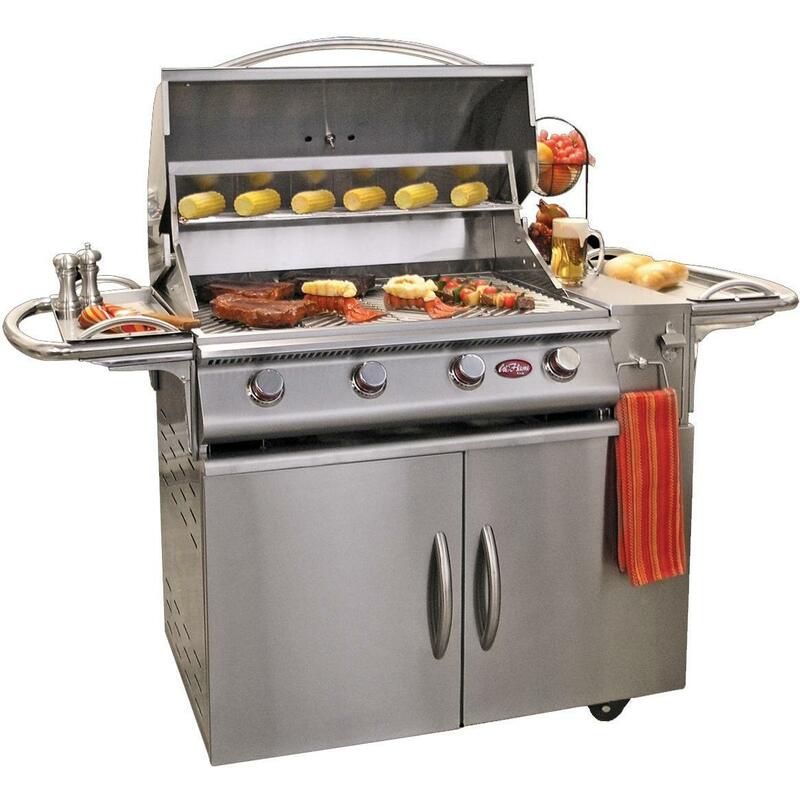 The 430 stainless steel deluxe mobile grill cart comes with two drawers for storage, a bottom compartment for propane tank storage or additional space and includes two side serving trays, a spice rack, bottle opener, towel and paper towel holders. 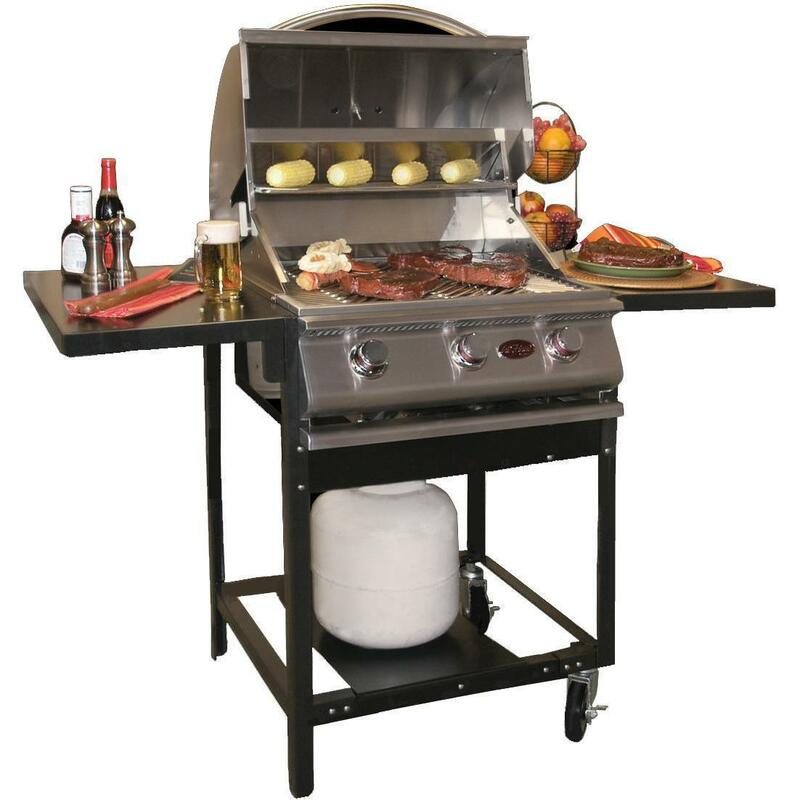 Propane tank not included.